Therefore do not be anxious, saying, ‘What shall we eat?’ or ‘What shall we drink?’ or ‘What shall we wear?’ For the Gentiles seek after all these things, and your heavenly Father knows that you need them all. But seek first the kingdom of God and his righteousness, and all these things will be added to you.“Therefore do not be anxious about tomorrow, for tomorrow will be anxious for itself. Sufficient for the day is its own trouble” (Matthew 6:31-34, ESV). Question: Are you a Worrier? Mathematically speaking, it really doesn’t make sense to worry. Psychologists and other researchers tell us that roughly 40 percent of what we worry about will never happen and 30 percent has already happened. Additionally, 12 percent of our worries are over unfounded health concerns. Another 10 percent of our worries involve the daily miscellaneous fretting that accomplishes nothing. That leaves only 8 percent. Plainly speaking. Americans are worrying 92 percent of the time for no good reason, and if Dr. Mayo is right, it’s killing us. 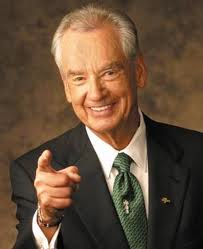 One solution that will reduce your worry is this: Don’t worry about what you can’t change. Example: For a number of years I’ve flown in excess of two hundred thousand miles a year. On occasion, flights are canceled or delayed. As I write this, I’m sitting on the runway waiting for my gate to clear. If I worry or get angry, nothing will change. If I take constructive action and finish this chapter, I’m ahead of the game. That’s a positive way to use energy that I would have wasted on anger, frustration, or worrying. The message is clear: If you don’t like your situation in life, don’t fret or worry—do something about it. Worry less, and act more. 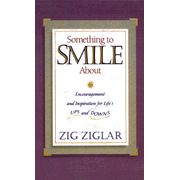 The article above was adapted from one of Zig’s many encouraging books: Something to Smile About: Encouragement and Inspiration for Life’s UPS and DOWNS. Nashville: Thomas Nelson, 1997.